Flavour profile: Young-ish sheng (raw) flavour with a juicy fruity profile, and a nice thick and smooth mouthfeel. Overall a pleasing clean and clear flavour. Later infusions gain sweetness and then light astringency. Leaf: Large fairly coarse yellow-green and deep green leaf and the odd stem, with a dusky crinkled velvet appearance. Good dry storage and lovely fruity fresh aroma. Origin: Bu Lang Shan, Menghai, Xishuangbanna, Yunnan, China. Background: In deep south-west China, Bulang shan borders Myanmar, so named after the indigenous Bu Lang ethnic group, who first cultivated tea in this area 1000 years ago. Bu lang Shan when talking pu-erh tea refers to a wide area within this region. Tea cultivation features heavily across the landscape here amongst the tropical rainforest covering this mountain region. Old arbor tea trees some 5 to 8 centuries old can be found around this area; much prized for their extensive roots ingrained in the terroir and making tea with more complex flavour. This tea: Our 2015 tea comes from younger plantation trees under 100 years old. 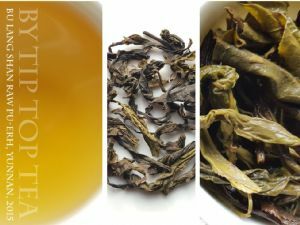 Sheng (raw) Bu Lang tea is often popular for a bitter pungent flavour when young however this tea here is closer to the other end of the spectrum with a smooth fruity and accessible flavour. Brewing guide: It is good practice with some teas to rinse the leaves first to remove dust and impurities. To do this steep the leaves in boiling water for 5 seconds, give them a swirl and discard the water. This also wakes up the leaves and warms the pot for use. Use 2 teaspoons (2.5g) when steeping western style eg. 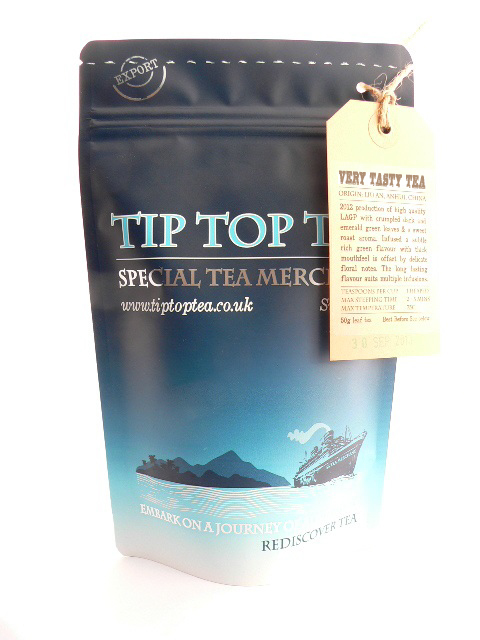 a 250ml @ 90C steeped for 2min30s per person. Use the same leaves for a second infusion using water 90C infused for 2 mins. Note that hotter water (90C +) will increase bitterness and overall strength, whereas lower temperatures (70C) will taste sweeter - especially for the first steep!